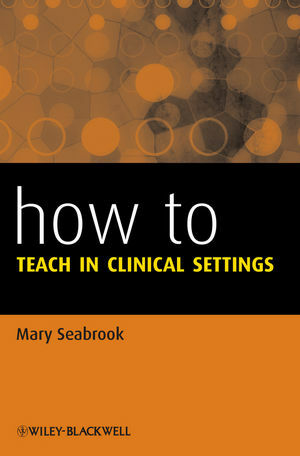 How to Teach in Clinical Settings is a practical guide to support all doctors wishing to develop their skills in clinical teaching and supervision. It provides hands on strategies to address common problems such as giving critical feedback effectively and teaching mixed-level groups. It gives guidance on the particular challenges of teaching in clinical settings including the need to manage teaching with service provision, to engage patients, motivate students, and to judge the balance of support and independence appropriate for each trainee. How to Teach in Clinical Settings is invaluable for all doctors involved in teaching and training at any stage of their career. It is also useful and accessible to medical students who increasingly need to consider and develop their own teaching skills as part of their career progression.